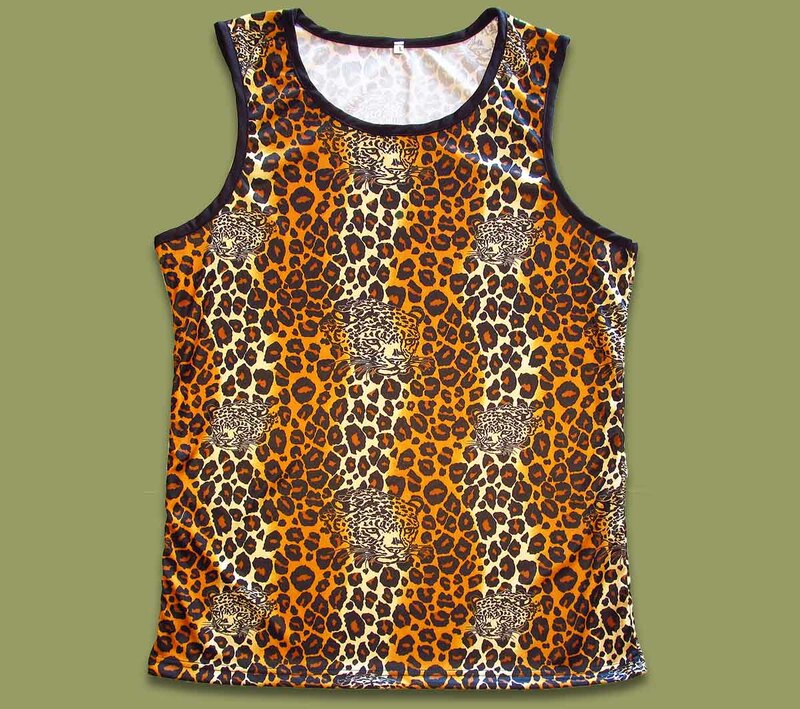 Leopard Print vest - Ingwe. Trilobal polyester stretch fabric. These vests are design to be worn as a "snug" fit. Made in South Africa. Sizes S / M / L / XL.